Islanders travel miles to the old seaside fort in the fishing village of Shermans to eat at this hotel's restaurant, The Fish Pot. The most sought-after seats in the house are those overlooking the sea, particularly at sunset when you can order lobster, grilled prawns and mahi-mahi while watching the sky slowly turn from fuchsia to mauve. But not many regulars have cottoned on to the New England-style, sea-facing wooden cottages in the lush tropical gardens (there are also a handful of suites above the restaurant). 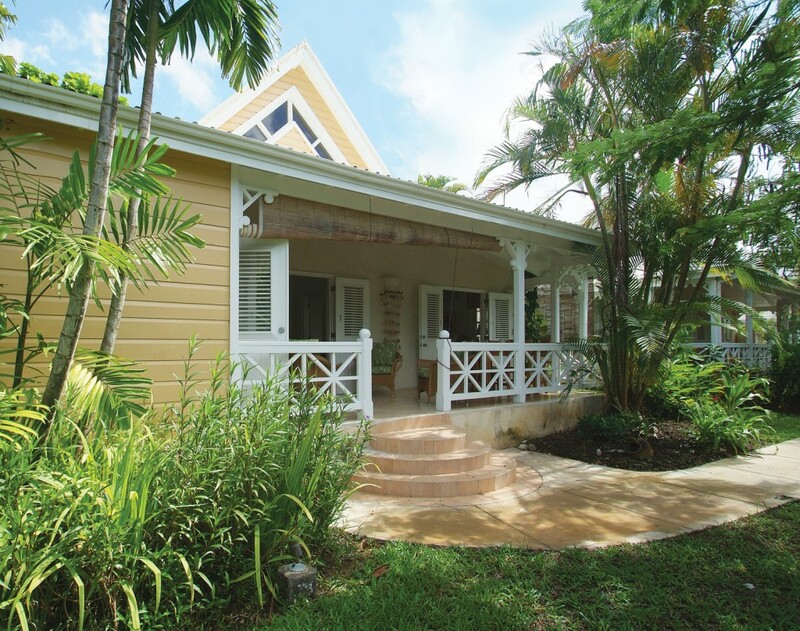 Each has a wraparound veranda, a fully equipped kitchen and a light, airy living room filled with books and Barbadian designs. The teak beds upstairs are enormous and the bathrooms small but perfectly formed. Breakfast isn't always quite as spot-on as dinner, but the banana bread - freshly baked each morning - is delicious. There's a tiny spa and two blissful pools, the smallest in the style of a miniature Roman bath with stone columns and water features. Laze in the sun with the resident tabby cat or clamber over the rocky headland to search out hidden coves and glimpse the rock-star mansions that back onto the bay (watch out for the tide, which comes in quickly so that by early afternoon there's only a narrow strip of white sand peeking out from under the shallows). On Friday nights, the nearby Six Men's fish market is the place to go for ice-cold Carib beers and grilled meat, eaten with greasy fingers while perched on wooden benches. 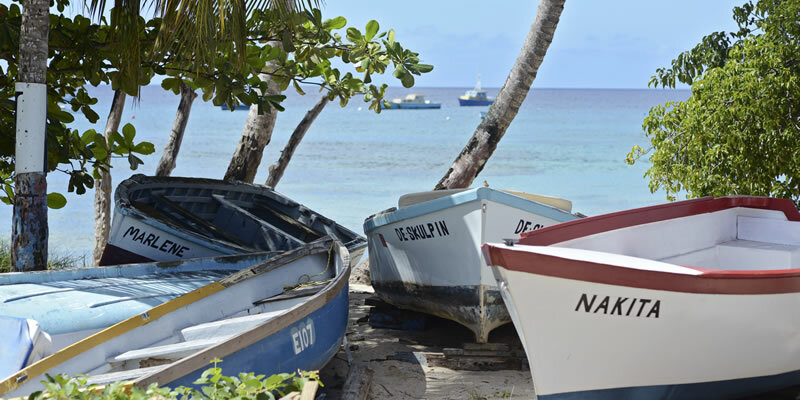 Let’s be honest….many foreigners view Barbados as becoming less rustic and more chic. 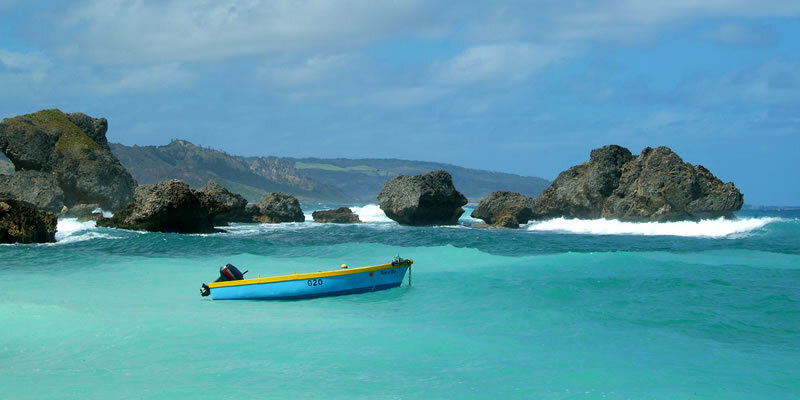 Our little island paradise attracts tour packages and millionaires alike and while all bask in the warm heat and dive into the cool ocean, the sad reality is that many do not get to see and experience the REAL Barbados. Andrew Warden, proprietor of the Little Good Harbour and Atlantis hotels, both gorgeous boutique hotels on opposing sides of the island, aims to change all of that. Australian born Andrew and his Barbadian wife Patricia have been running Little Good Harbour and it’s renowned restaurant The Fish Pot for 10 years now. Situated in the midst of Sherman’s fishing village, St. Peter, the hotel features 21 self-contained apartments that are spacious but cozy, four poster beds overlook the lush gardens, the pools are secluded and serene and the property breathes like a tropical paradise, a rare gem on this coast. The beach side has two apartments adjacent to the restaurant, literally a lazy stumble away from the glistening waters. Soft waves serve as a symphony while diners enjoy their meals and locals and sun kissed visitors stroll along the coast. 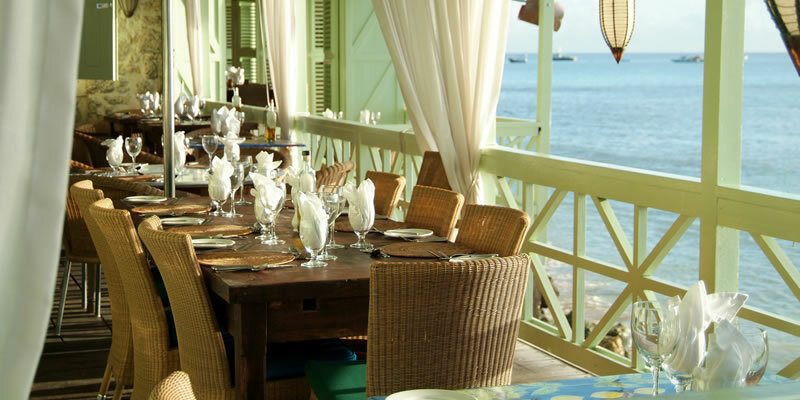 As unassuming as it’s location may be, the restaurant has a loyal following; acclaimed food critic Michael Winner (The Times) has sung it’s praises, calling it the last touch of ‘old Barbados’ available to visitors and approving everything from the fresh seafood to the palatable wines chosen by Andrew himself. Chef Stephen Belgrave has been overseeing the delectable menu for over 10 years now and insists of offering an authentic ‘taste of the Caribbean’.Lunch is a light affair with Panini’s, salads and pasta and dinner consists of surf and turf favourites such as fresh lobster, scallops, octopus and calamari as well as local catches. Dishes are kept simple but enhanced the flavours with local spices, and many ingredients are sourced from the neighboring fish market. Bar aficionado Caesar is always on hand, mixing rum punches that guests can enjoy beachside in the cabanas (another enticing dining option) and most of the staff have been there from it’s inception, promising exceptional service to go with the ambiance. Prices are modest compared to other fine dining establishments on the West, but everything is indeed first class. The newly built “Little Spa” was opened in November 2010 and adds another dimension to the property; with a lovely open plan guests are indulged in a distinctly tropical setting. Standard services such as mani/pedis, facials and massages are offered but the Spa goes one step further, providing visitors with options such as steam/sauna, hairstyling and late opening hours for convenience. While other hotels issue day passes to visitors it usually comes with a cost! Here at Little Good Harbour you can book a manicure, stay for lunch and enjoy the hotel facilities at no extra cost, a truly tempting opportunity. Atlantis Hotel was originally situated adjacent to the old railway line and was one of the first hotels in the parish and today is the only hotel offering quality luxury, fine dining and first class service this side of “the rock”. Andrew confesses that he doesn’t like to sit still and is always looking for a new challenge. 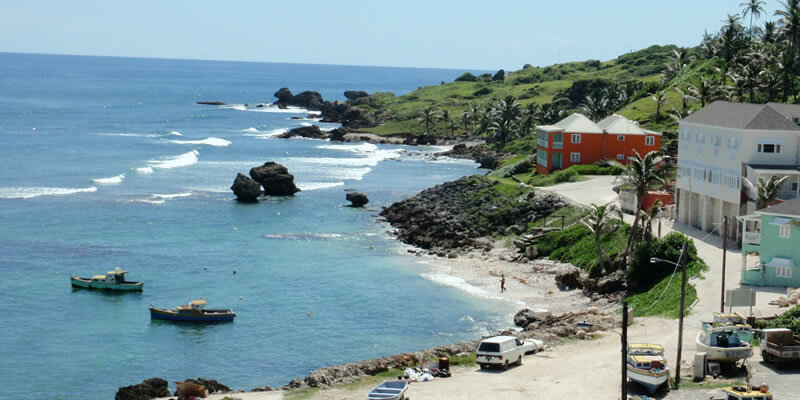 It was this thirst for new challenges that prompted the Wardens/Kirby’s to buy and renovate the Atlantis Hotel in Tent Bay, Bathsheba on the East Coast. 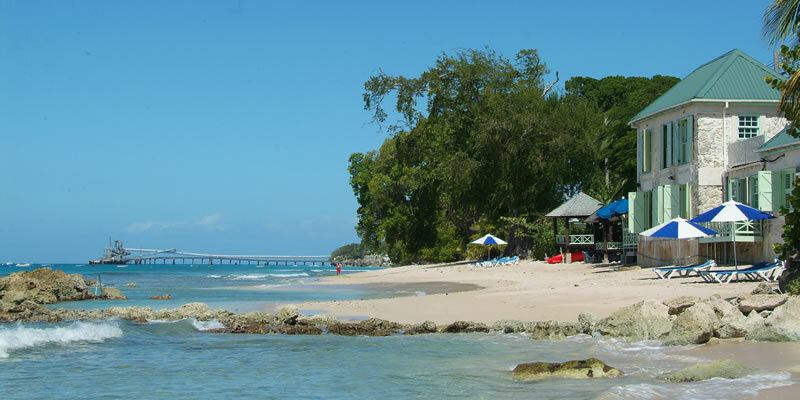 That and Andrew’s commitment to showing visitors and locals alike the very best Barbados has to offer scenically as well as culinary. Established in the late 18th Century, Atlantis is a historic landmark property with panoramic views of the wild Atlantic coast, a coast rarely seen by high end visitors but which is without a doubt a local favourite. Originally situated adjacent to the old railway line, it was one of the first hotels in the parish and today is the only hotel offering quality luxury, fine dining and first class service this side of the rock. Of course this is Bathsheba and surfers and sunbathers pepper the beach on any given day, enjoying the unpredictable breakers and local bars. Amid this environment Atlantis brings something entirely new to St. Joseph, and that is what makes it so appealing. With the renovations completed in late 2009, the hotel is authentic, rustic and serene, the bright breezy interior boast 8 spacious ocean view rooms in the main house and 2 two bedroom self contained apartments by the pool. It is stylish but uncomplicated, the décor colonial yet modernly vibrant, colours inspired by the bright fishing boats that dot the coastlines of Barbados. Locals rave about the service, the modern amenities and especially about the ABC “All Bajan Cuisine”, a 100 year old promise that the restaurant has always kept and is well know for. 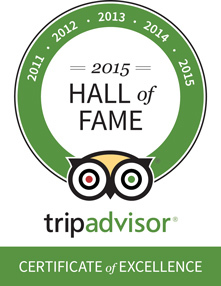 Run by Manny Ward whom Warden calls ‘the most qualified restaurant manager on the island’. Thankfully the restaurant offers buffet on Wednesdays and Sundays and features local favourites such as pepper pot, flying fish, yam pie and cou cou - the other days is a la carte. Dinner is is served 6 nights of the week and is an eclectic mix including pickled seacat, conch fritters, rotis, stews, fresh lobster and roasted black belly lamb. From coast to shimmering coast, the Warden’s are carving out a reputation as easy going hosts; providing visitors with a truly memorable stay and encouraging locals to step out of their comfort zone and experience something a little off the beaten path. With this effortless combination of modern elegance and island simplicity, every visitor is sure to leave with plans for their next escape in mind.